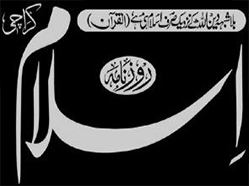 Here you can read online Daily Islam ( روزنامہ اسلام) by dailyepaper.pk. The Daily Islam Newspaper is most religious read online epaper in Pakistan. This newspaper is mainly published from Karachi city, Sindh Pakistan. Roznama Islam Karachi have the most authentic Islamic and religious news for the Pakistani users. Daily Islam Epaper Online Edition have also national, International, Editorial, Magazine, Magazine, E-commerce and business news for you. You can add some more info in your mind about Islamic News, Breaking News, Urdu News, Pakistan News, From Pakistan and World. Politics News and live Sports News on website of www.dailyislam.pk. Read here Daily Islam Urdu Newspaper Today Akhbar online.